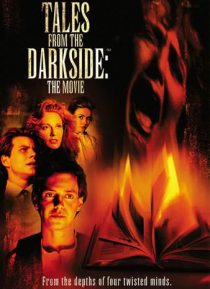 From Stephen King, Michael McDowell, George A. Romero and Arthur Conan Doyle, comes "Tales From The Darkside: The Movie", an all-star horror anthology packed with fun and fright. "The Wraparound Story" concerns a little boy who spins all the tales...to distract a modern-day witch who wants to pop him in the oven! In "Lot 249," a malevolent mummy gives new meaning to "final exams" when he awakens t… o wreak revenge on unsuspecting student bodies. A furry black kitty is really the "Cat From Hell," and a "Lover's Vow" brings a stone gargoyle to murderous life.